When you need to reset your Android device to factory settings, please check out your backup first. Factory reset can wipe out all the data and settings while fixing the system issues or unlocking the device or other things. Once you reset your phone, your data couldn’t be found any more unless you had backed up them in advance. Backup is not such a complicated thing if you follow the methods introduced below. 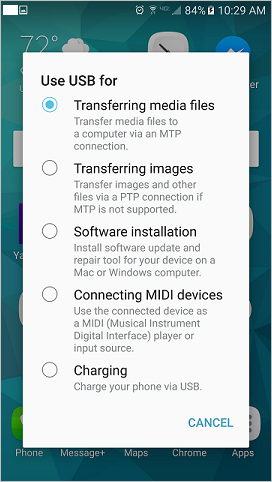 When your Android phone is connected to computer and switch on MTP mode, Media Transfer Protocol, your phone will appear to computer as a removable disk, which can transfer the pictures and files to your computer like a USB flash disk. Details are explained as followed. Step 1: Connect your Android phone with computer via USB cable. Step 2: Select the “Transfer files /MTP Mode” option. For older Android version, slide and drag the notification bar down and tap on USB computer connection notification message to find “Transfer files /MTP Mode” option. Step 3: Go to your PC. Click the notification of your Android device connection on your desktop, then click “Open device to view files” from the option bars. Or go to My Computer and choose the Android internal storage, open your device files by double clicks. Step 4: You’re now accessible to the file folders of your device. Copy what you want to back up and move to the location you hope on your computer. 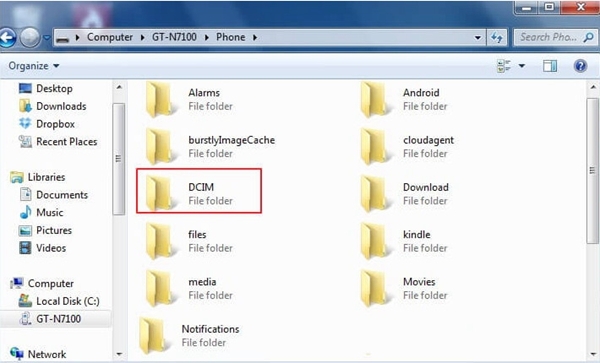 – Camera photos and videos are in the DCIM folder. – Screenshot images are in the Picture folder. – Download files are in the Downloads folder. – Music files are in the Music folder. – Files received through Bluetooth are in Bluetooth folder. 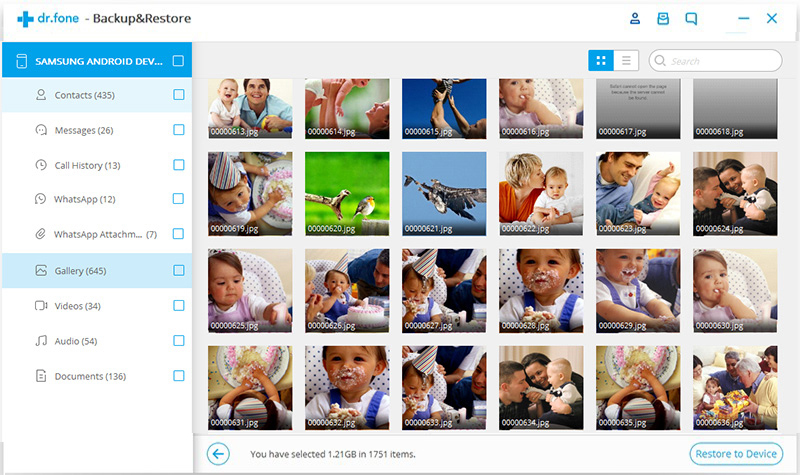 – App specific photos are in its own folders such as WhatsApp folder, Kik folder, Facebook folder. 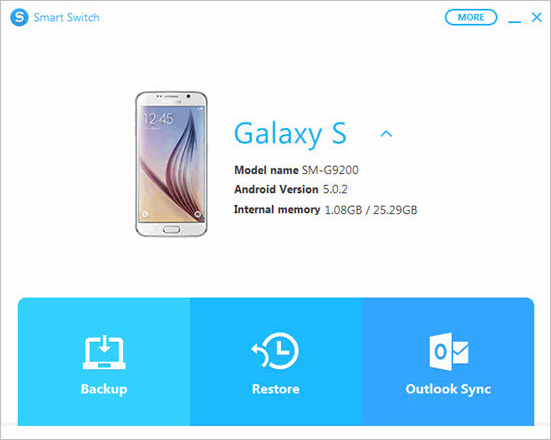 If your device is Samsung, you have another better way to back up your phone data to computer, using Samsung Smart Switch. Step 1: Run the Smart Switch on your computer and click “Backup”. Step 2: You will be asked to tap “Allow” on your Samsung phone to allow the access permission. Step 3: Then your data will be backed up immediately. Once the backup completed, you will see the data you backed up successfully. Click “OK” to get over the steps. 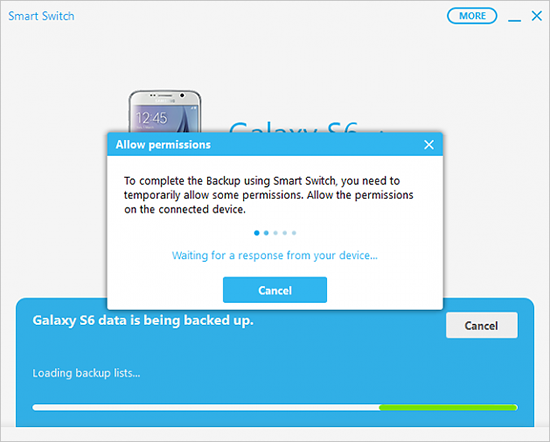 When you want to use Samsung Smart Switch to restore your data from backup file. Run the program and connect your phone with computer via USB. Click “Restore”, select a backup you want, and click “Restore now”. The same, tap Allow on your phone. Then the restore process will begin. In addition to the two methods mentioned above, you also have a solution to back up the entire data of your phone. This method applies to most Android phones, including Samsung, Sony, LG, Moto, Huawei and so on. That’s the Android Data Backup & Restore Toolkit, a tool makes your backups easy as a cake and implements a one-click complete backup. 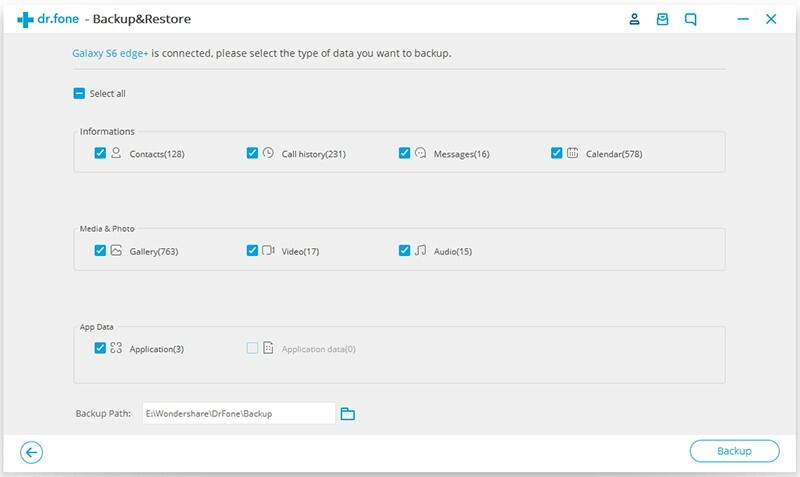 The Android Data Backup & Restore toolkit is efficient to back up all the data on your Android phone to computer. 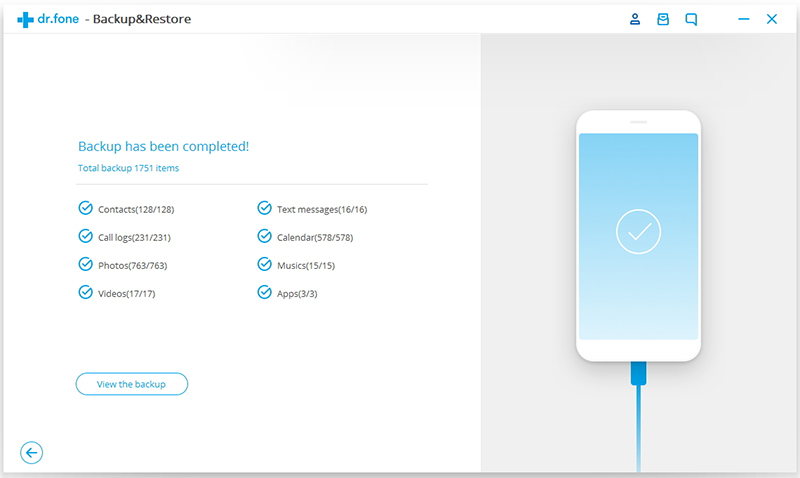 What’s more surprising, with the toolkit backing up your contacts, messages, photos, videos, you can view the backup content at any time and selectively restore what you backed up to any Android device. Launch the program on computer and connect your phone to computer via USB cable. Click on “Data Backup & Restore” in the main menu. Click on “Backup” button to start backup process. You will see the data types appearing on the window. All is selected by default but you can select them by checking their checkbox. Your Application data will be seen and selected as you click the rightward arrow. Next click on “Backup” at the bottom corner. Step 3: Wait for the backup process completes. Don’t disconnect your phone nor use it when backing up. 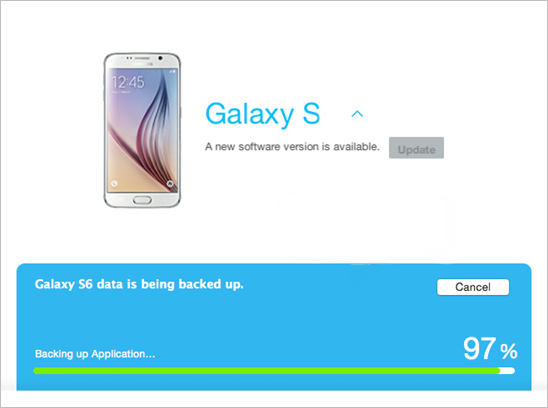 Once the backup finished, click “View the backup” to check your backed up data just now. 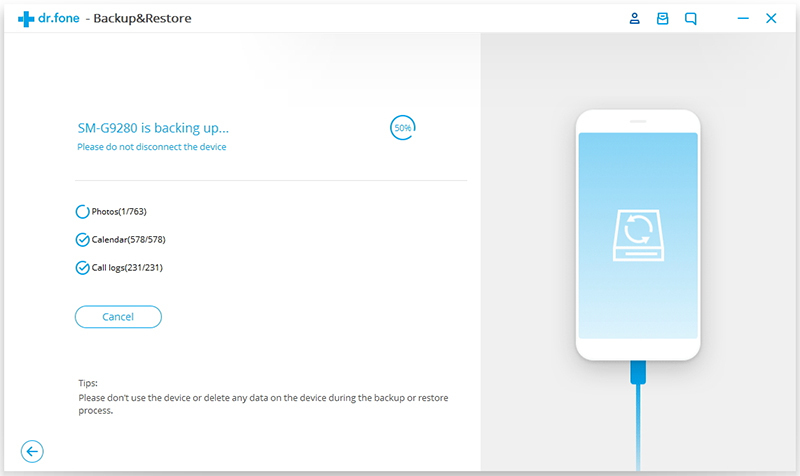 You can view the backup content and selectively restore the backup data to your device with this tool as well. Run it and connect your device to PC, too. Similarly, when you come to the window where there are two buttons “Backup” and “Restore”, choose “Restore” and select a backup history, then selectively choose the files to recover your backup data. It’s so effective and easy, isn’t it? The way through this toolkit overshadows the other ways. 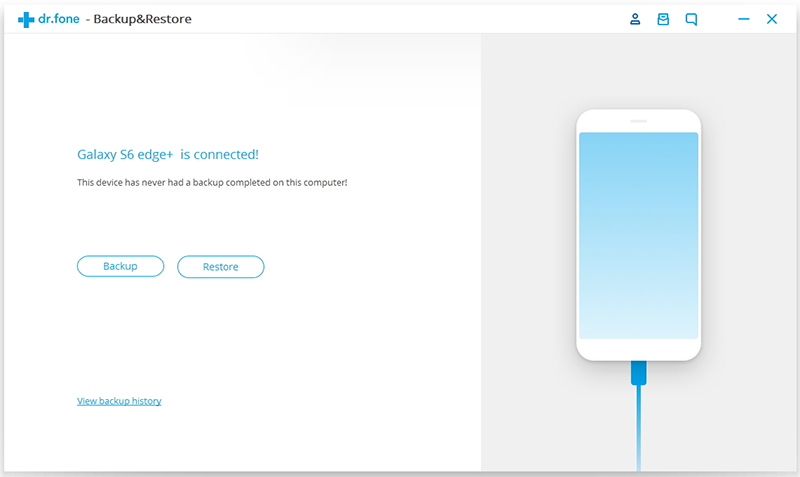 Whether the simple and efficient backup process or the restore feature needing just one click, Android Data Backup & Restore Toolkit is enough to deserve the appreciation of every Android phone users. 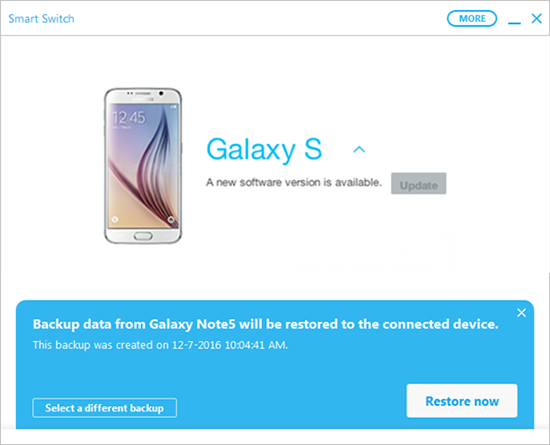 All your data will be backed up to your computer and you can access them or restore them to a phone freely. Tutorial about Android data backup is briefly introduced here.